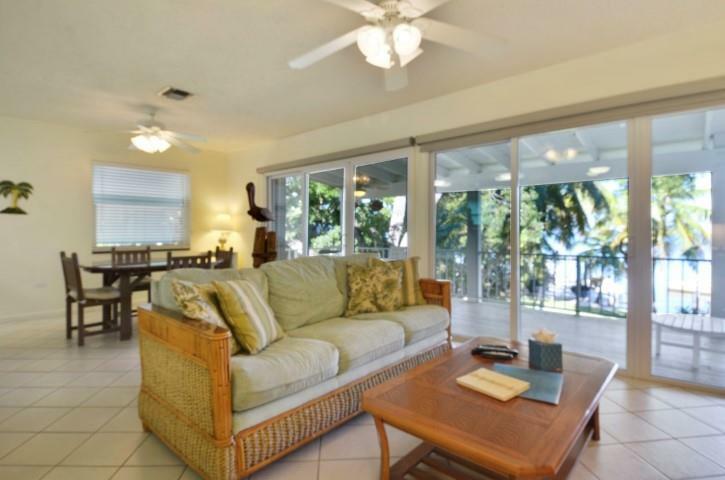 Little Bay's Upper Duplex is one of three rental units on this fabulous property. 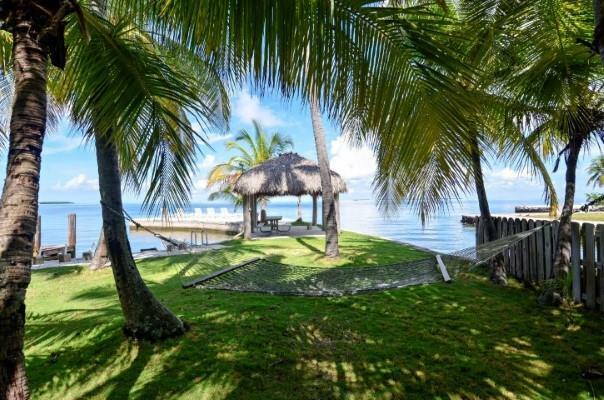 The Little Bay property is a one acre lush tropical setting in a gated compound located directly on Florida Bay. This is one of 3 separate units for rent by the week or month. 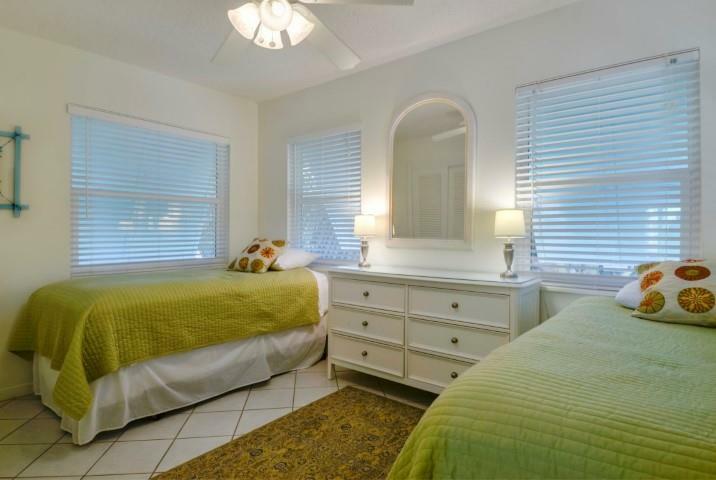 Each unit sleeps up to 6 people - rent one or all for a family reunion. Protected dockage in the "little bay" will keep your 30' boat (or smaller) safe. There's a "sunning" area with lounge chairs on the peninsula so you can capture all the Vitamin D your body needs. Relax in one of the hammocks and enjoy quiet time under the pergola or picnic under the tiki. 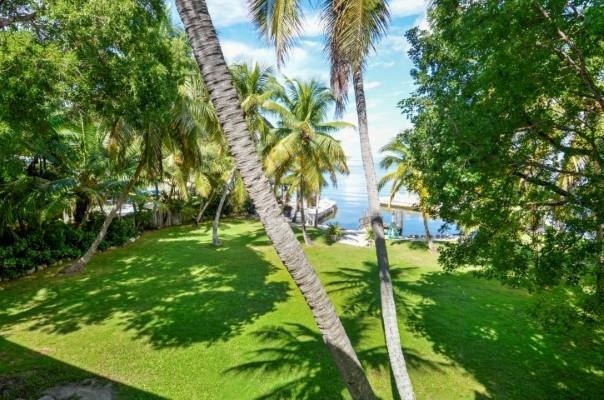 Enjoy panoramic views of the Florida Bay from the covered balcony of the Upper Duplex. When it's time to retire to the indoors you'll love the interior of the Upper Duplex. 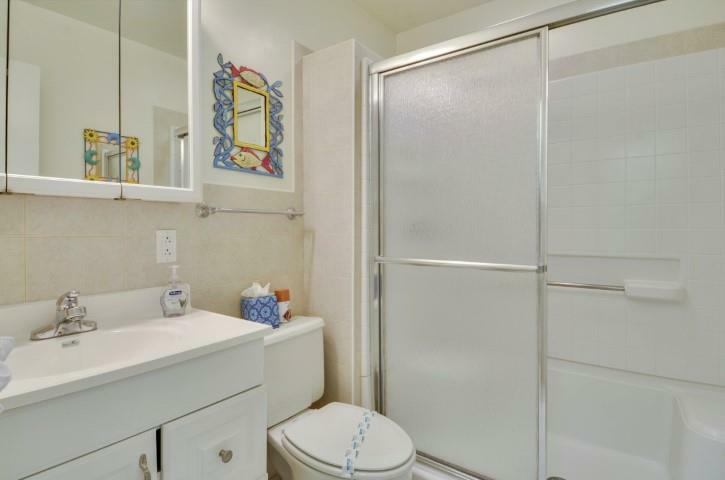 It offers 2 bedrooms/2 baths plus a queen size sleeper sofa in the living area. 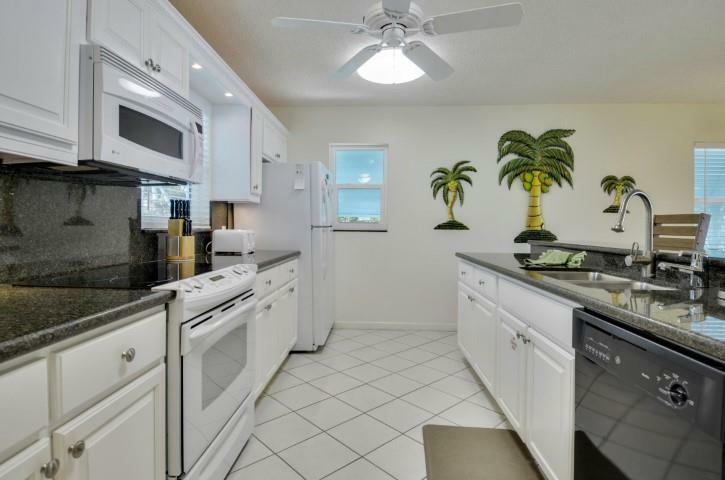 The kitchen has been updated with new appliances and granite counters. The baths are up to date as are the furnishings. 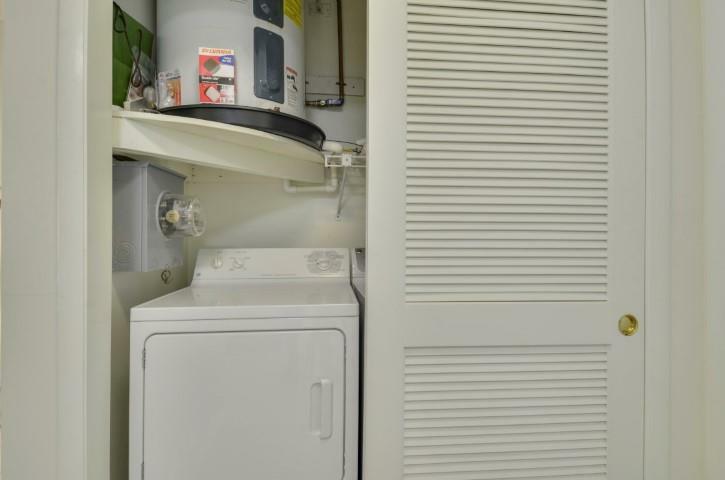 A full size washer and dryer in the unit, central air, covered balcony overlooking the Florida Bay, flat screen TV in the living room and WiFi round out the amenities that will guarantee a fabulous holiday. Bedding is King, Twin, Twin, Murphy, Sleeper Sofa. Rate Details: $2500/week or $7500/month. Additional Charges: $150 departure cleaning fee; $200 processing fee and 12.5% state and local taxes. Refundable Security Deposit: $500 with Accidental Damage Insurance or $1000 without. Pet Fees: Pets are accepted at this property case by case. If your pet is accepted there is an additional non-refundable pet fee of $150. Accidental Damage: $45 covers up to $3,000 of accidental damage during your stay. Travel Insurance: This is an optional service we offer through a national travel insurance provider. Plans include valuable medical coverage, trip interruption, emergency travel services and more. Please click on the Travel Insurance tab on our website for more information. 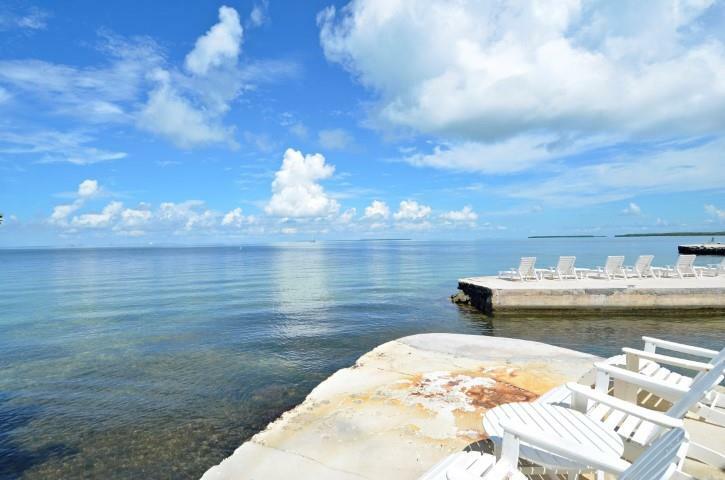 We represent properties in the captivating Islands of the Upper Keys - Key Largo, Plantation, Tavernier, Islamorada. They are located a little over an hours' drive south, southwest of Miami, Florida. 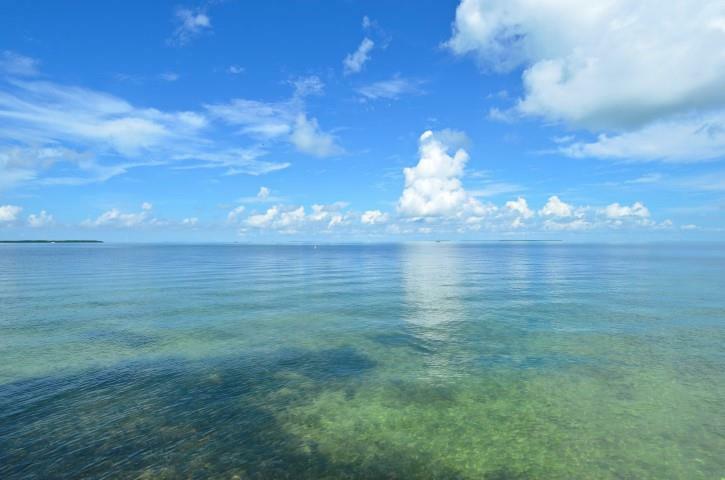 The Keys are known for their casual lifestyle, crystal clear waters, spectacular snorkeling and diving, and as the fishing capital of the world. Little Bay was a perfect property for us! 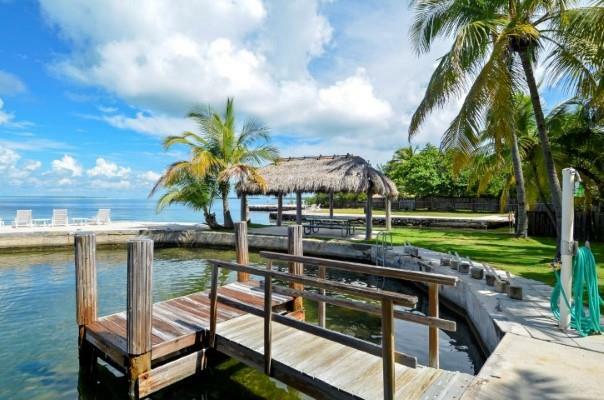 The setting is idyllic and classic keys - Huge backyard on the Bay with excellent dock area, hammocks and view of the bay. Covered porch was the full width of the house and was a great place to hang out morning and evening. The property had everything that we needed, was centrally located and have plans to visit again! Service provided by rental agency was top notch and very attentive - they showed us around, accepted packages on our behalf and were friendly and helpful throughout our entire rental experience - from planning to checkout. This is definitely on our To Re-Do List. 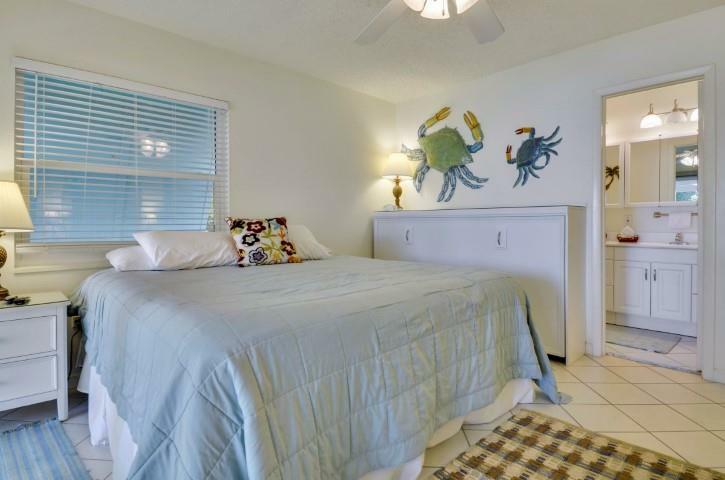 LITTLE BAY LOWER & UPPER "Perfect stay!" Our family rented both the upper and lower duplexes and had a wonderful time. The management people were super friendly and had tons of information and ideas/recommendations for anything you could need! 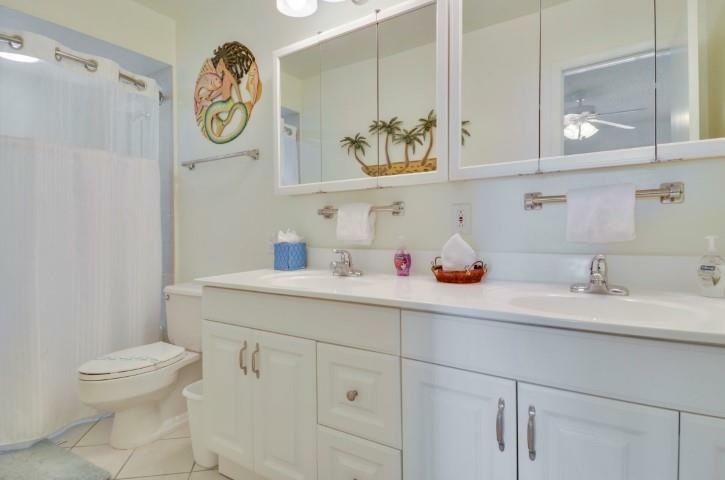 We rent often in the Keys and this is the nicest house we have rented. The little touches made it like being at home - the quality linens, the comfy beds, and the cleanliness! We loved how the property is private and the big back yard (with real grass) was a great play area for our kids and our dog! Can\'t wait to return next time!